Do You Have a Business Plan for Your Blog or Website? All businesses need a business plan. If you plan to run your blog as a money making business, you too need a plan. The following is questions you need to ask yourself and some tips to get you started forming your own plan. 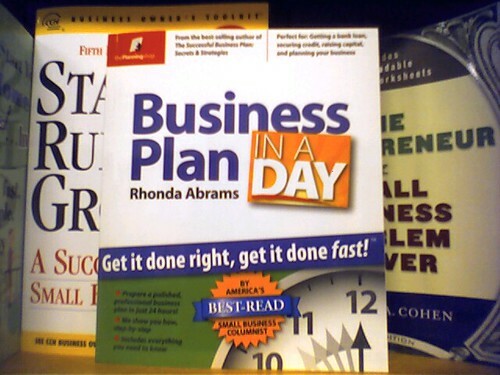 A poor business plan is often the downfall of many new business ventures. Traditional business plans are essential in getting loans from banks and venture capitalists. your blog or website may not need to go to that extreme but following a general business plan can greatly improve your chances of success. 1. Is your website/blog feasible? Can you fill a need? 2. Do you know your strengths and weaknesses? 3. Can you build on your strengths while working on your weaknesses? 4. Will you offer goods or services? 5. Who are your potential customers? 6. What size is your market? 7. Do you know your competition? 8. Have you studied their strengths and weaknesses? 9. Do you have a mission statement? 10. Can you differentiate your goods and service from the competition? 11. Will you provide benefits to your customers? 12. Do you have a marketing strategy? 13. Do you know your financial potential? Once you know the answers to these questions, you can start working on a business and marketing plan. What is a business plan? A business plan, in the traditional sense, is a written document that lists a company’s goals, how they will achieve those goals, and the guidelines and standards it will use to measure success and achievements. Writing a business plan for a blog or website doesn’t need to be traditional. You just need to set up some basic guidelines as a roadmap to success. Some of the things you’ll want to highlight in a business plan includes your objective and mission (the purpose of your website/blog), marketing strategies (how you’ll reach customers), competitive edge, strategies you’ll implement, a financial plan and dates you plan to achieve benchmarks with your blog or website. Without some kind of plan and set goals you may wind up at the wrong destination. If you already have a site setup but feel you’ve lost focus, start on a plan now to get your website or blog back on track. For more information visit Business.com.